Health care is big business. Employers and other purchasers spend billions of dollars on health care every year. But nearly one-third of health care spending is wasteful—think unnecessary procedures, administrative costs, medical errors, and even fraud. For many years, purchasers have struggled to provide high-quality health care to their employees, simply because they didn't know which providers were safe, or had the best patient outcomes. In no other industry do we encounter this lack of transparency and accountability. 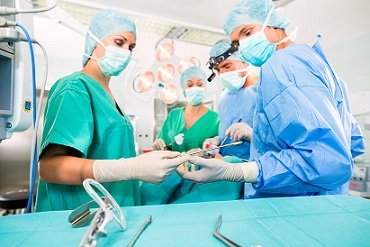 Preventable medical errors kill as many as 400,000 people every year. In a country where as many as 400,000 lives are lost every year because of preventable medical errors, Leapfrog is fighting to build a movement for transparency. We serve as a voice for health care purchasers, using their collective influence to foster radical, positive change in U.S. health care. For nearly 20 years we have collected, analyzed, and published hospital data on safety, quality, and resource use. That means purchasers can find high-value care. And it means that real people are empowered with the information they need to make better decisions. To trigger giant leaps forward in the safety, quality and affordability of U.S. health care by using transparency to support informed health care decisions and promote high-value care. We envision a future where purchasers will tie health care investment to excellence and educate their employees on choosing the best care. Health plans will support purchasers in their efforts to reward high performance and empower employees. Consumers will fight for the best care for themselves and their families. Providers will be courageous in championing transparency and leading groundbreaking improvements. By living the vision, all of us will work to give the next generation the safest, highest-quality health care system in the world.